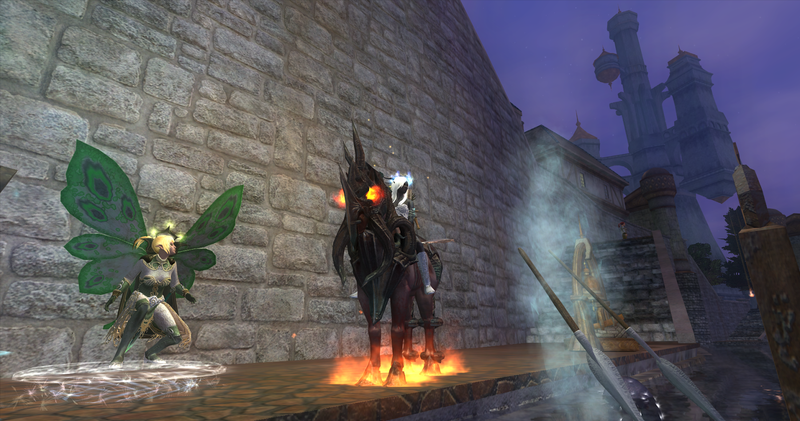 ECTmmo.com- MMO Blog: The Adventures of Kaozz...: EverQuesting! 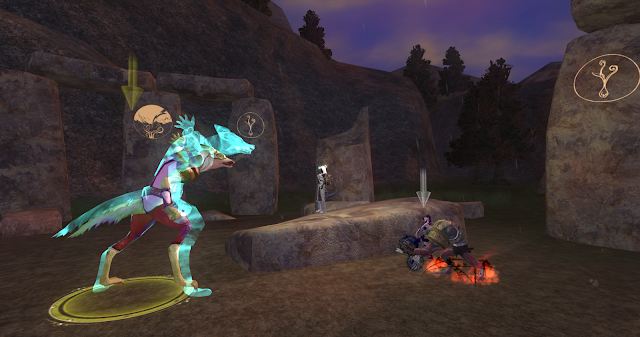 EverQuest hit the 17 year mark recently! Happy Birthday to EQ! We made a couple of beastlords, Dire and I. 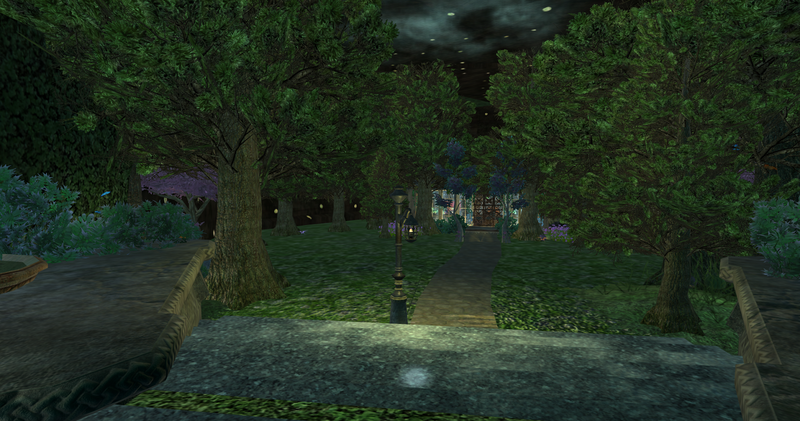 It was fun to go back and check some old haunts, like unrest. I think the reason I still play to this day is because I know how much he loves the game still. We don't play nearly enough though. 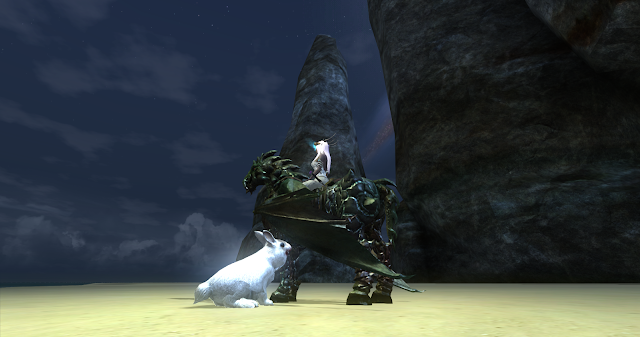 Still trying to get him to return to EQ2... sigh. Dire and I checking out a hotzone for the 20's. Fun times! 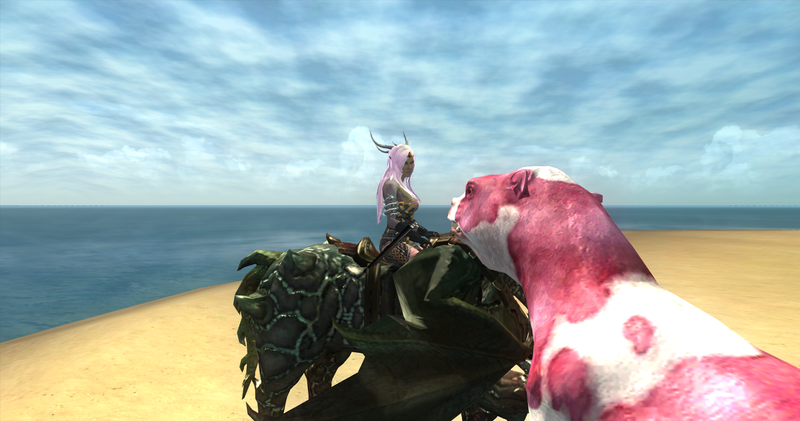 EQ2 has had some events going on lately, Bristlebane day just passed and I had to pull out the Beastlord for some cool pets. 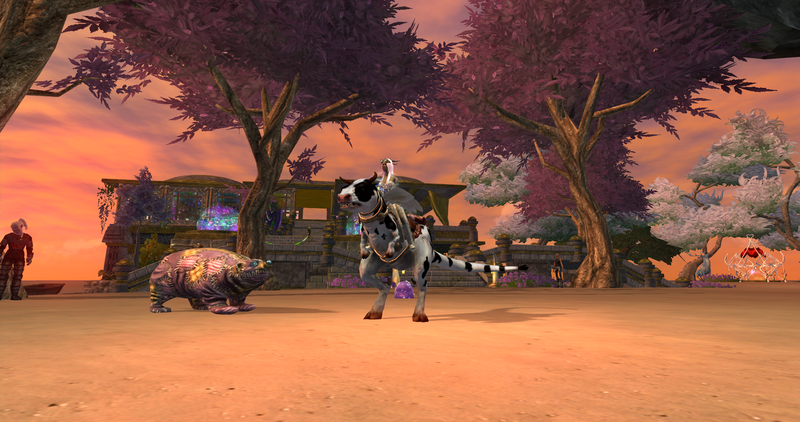 I had gotten the patchwork pets last year (one pictured above). There were two more added though, so she is sitting pretty in her 50's currently. Ended up having so much fun I am now playing her. 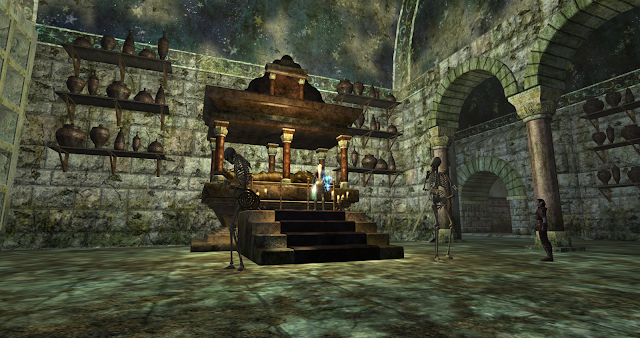 In honor of EverQuest's anniversary the chronoportals opened in EQ2. Which I puttered around in with my necro. 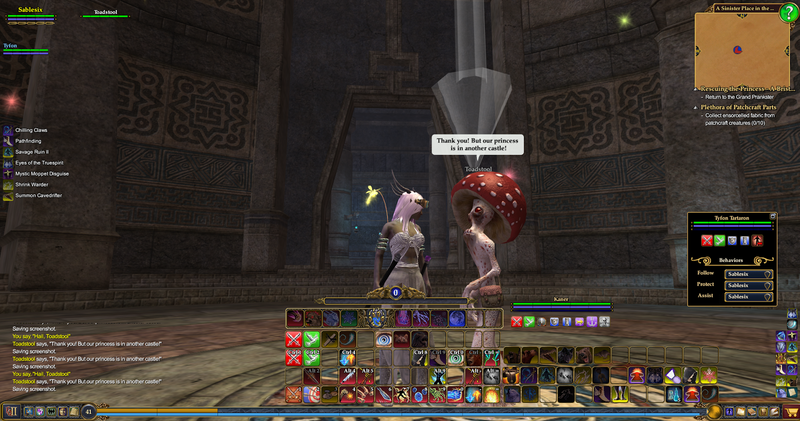 They are always fun to adventure in when they come around, with cool rewards. A pretty little fairy at the docks, I love the wings so much more than the new race I play, which I always seem to hide because they are so huge. 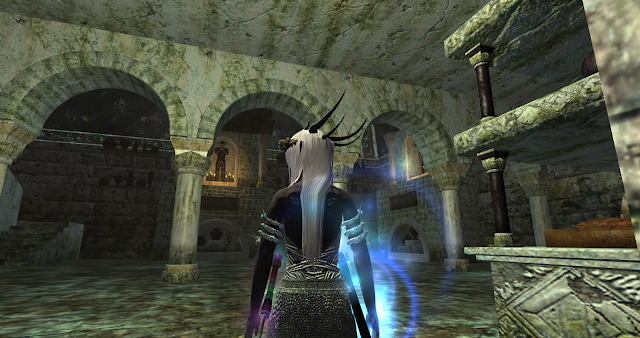 Ishva Mal- From EverQuest, showing up for the Chronoportals. 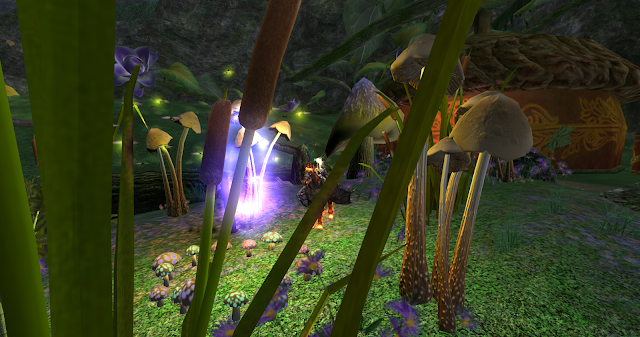 More chronoportal fun, showing off an older zone from the early days of EQ2, some of these are closed off now for story lines. 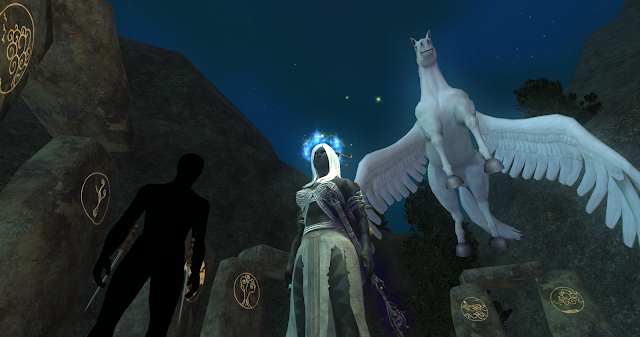 Moonlight enchantments. I love when these come around, allowing me to stock up on housing items! A home I finished on my necro. Thought it was interesting use of the Everfrost Summer Home. 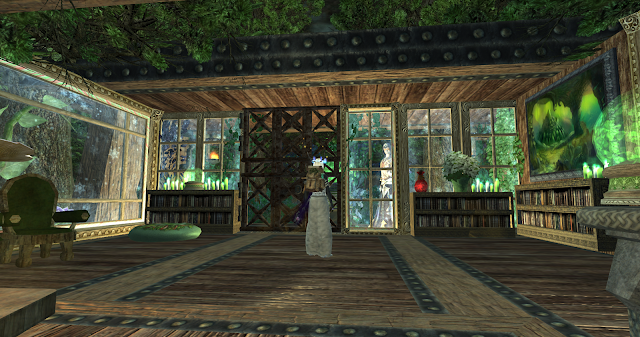 Inside of the little house pictured above. Quillmane! 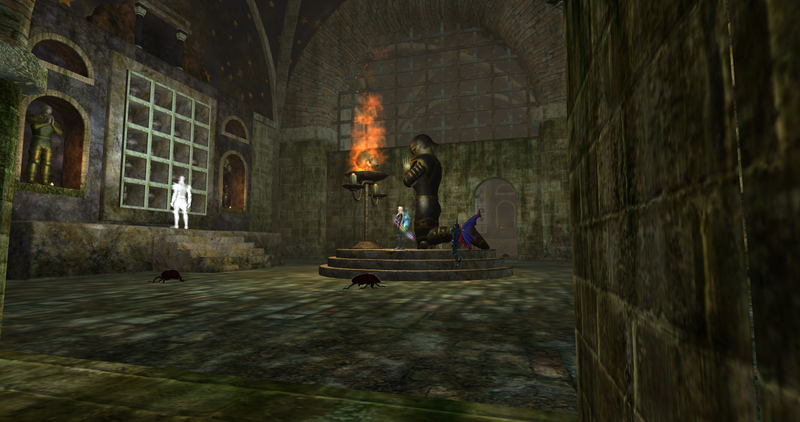 An old rare from the original EverQuest. Love the flavor from linking things like this through the game, as both have a lot of history and lore. I just love the Bovine pet, but sometimes I get tired of hearing "MooOOOoooo" all the time. 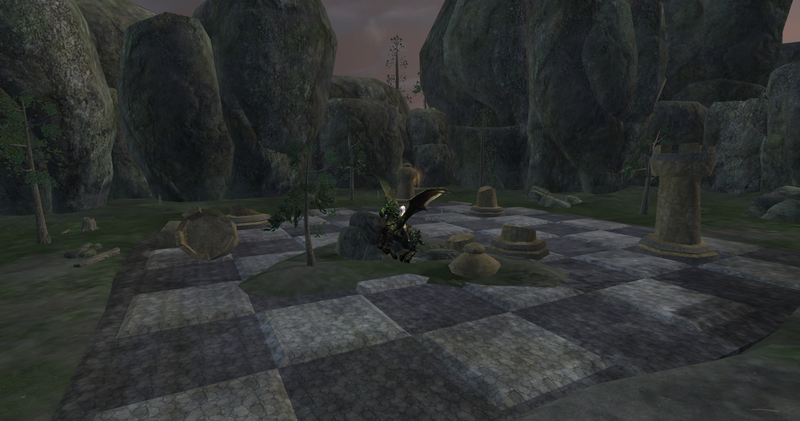 The chessboard in Butcherblock. 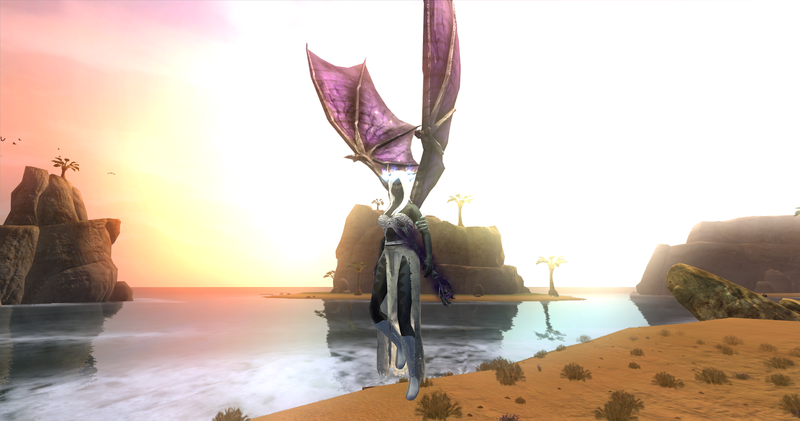 A crossover from the first EQ, which is always cool to fly over in the second. Wake up Princess! 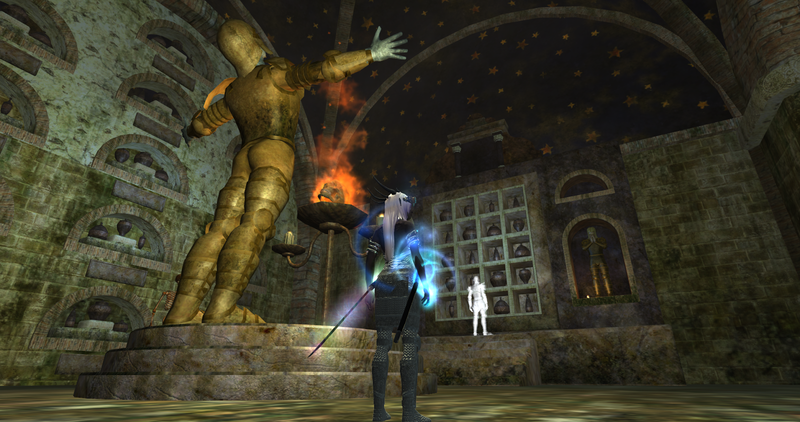 Firiona Vie in a quest-line with Bristlebane this year, very neat! One of the new pets I obtained, the Were-Rabbit. Cute and mean! 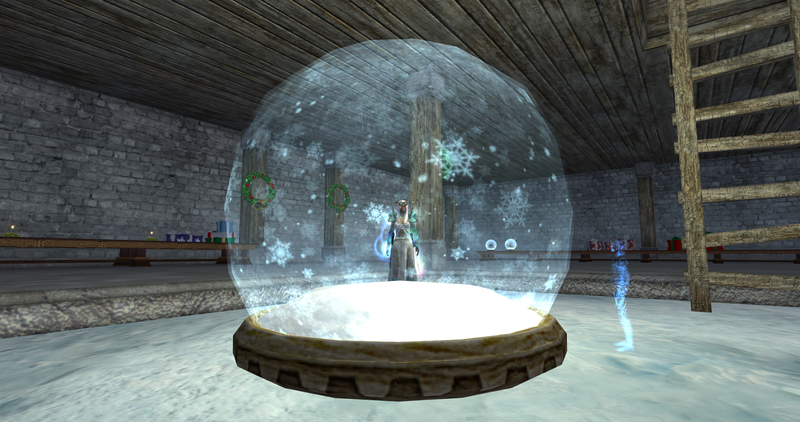 Working on my Beastlord's new house, using a lot of cool holiday windows! 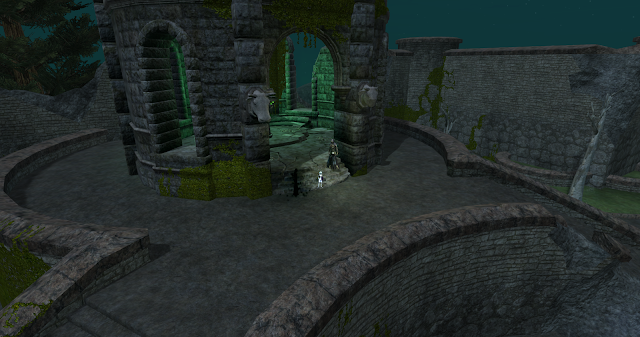 Somehow I found myself wandering around in the Qeynos sewers.... It has been so long I forgot about these old places. Catacombs. Do new players even know about these zones? I think there a couple of armor quests that may point to them. But I think this is one of those older zones where drops may not be as good as some of the newly polished up zones for starters. Honoring the long since forgotten? Guess it's time to 'gate' outta here. One last shot I took of Dire and I. Though these days he is so into Project Gorgon. He sure loves the old school feeling games. I showed it to him and he's been playing it ever since. I'd have actual pics if I had known which button actually took screenshots-- I do now but that isn't helping too much, lol. Had some great times so far, even if he plays more than I. Someone gave him some pig juice... I had a pig companion for a couple of days. He sure was a grumpy pig until we got him a cure for it! I missed most of the Bristlebane stuff this year. I wanted to do it but there just wasn't time. The plan is to come back and do the new Zek content in EQ2, at least. Too many MMOs. I'd love those pets but my BL is now on the non-subbed account so he doesn't get played. 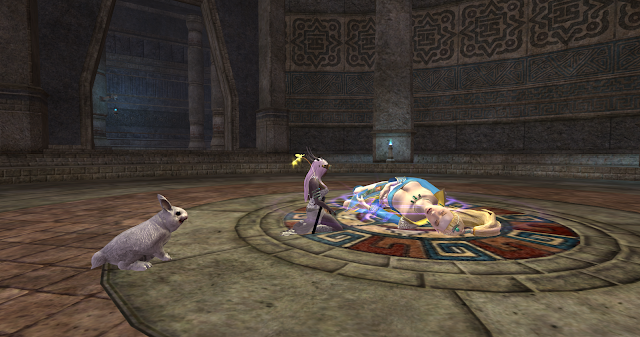 I find it a hard class in EQ2, anyway. It's been ages since I played EQ1 at all, too. I really must get back there sometime. Have they finally changed those hot zones? They've been the same for literally years. The bst is easier for me coming back to it, I didn't grasp it as well when I first made one. I like the stances a lot. It is a bit more on your toes class, I agree! Those hotzones looked the same to me. I don't even know if they change then anymore! It's been so long, I cringe when I go to look and don't see it's changed, Lol.